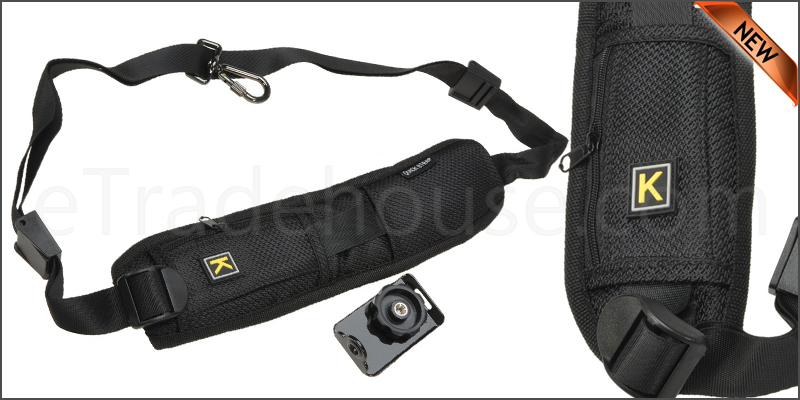 This Camera Strap constructed ofballistic nylon for extreme durability, design for outdoor photo shooting job.The Elastic Neoprene shoulder pad will fit for your shoulders perfectly andanti-slip strap will make you feel more comfortable. Perfect design and shapereduces pressure when carrying DSLR cameras. With tripod screw to the base plate,standard thread 1/4"